In business, every second counts—and anything that disrupts our productivity can lead to huge monetary losses. Given our growing technological dependence, one minor misconfiguration or full-scale system failure can lead to significantly reduced productivity — or worse still, complete business shutdown. While businesses do try to prevent this from happening, do they truly understand the cost of business downtime? It is estimated that a total of 552 man hours are lost in Europe each year through problems with IT and technology, resulting in a decrease in revenue generation of 37%. Of course, the impact of business downtime can vary significantly across sectors. This is because of a number of factors, including the number of staff affected, the impact on productivity, how long the downtime lasts for and the cost per employee per hour. Take manufacturing for example. On average, a UK manufacture takes home £29,419 (the equivalent of £15.32 per hour, based on a 40-hour week). Should downtime strike the factory floor, preventing 50 members of staff from doing 50% of their job for five hours, the business would face a loss of £1,915 for just one incident. As the scale of the downtime increases, so does the associated loss. It is not just salary-based loss that businesses face; downtime could also lead to lost future revenue. If IT systems fail, for example, you could lose out on future sales as a result of unhappy customers. Regardless of sector, this is something all business will need to avoid if they are to continue their success. What causes business downtime and how can we stop it? Before businesses can take action, they must first understand what causes downtime. Studies have been carried out to establish the most common causes, although results can vary wildly. The overall causes of business downtime include hardware and software failure, human error, the weather and natural disasters, and power cuts. So, with the causes clear in your mind, how can you tackle the issue head on? 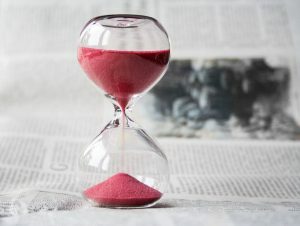 Ensuring your software is up-to-date is one of the easiest ways to prevent business downtime, yet so many companies are guilty of clicking ‘remind me later’. Make sure you install all available updates for your software to ensure it can continue performing optimally, minimising the risk of failure. You may want to review and reconsider your operating systems too, especially if they are outdated. As cyber threats continue to evolve and materialise, older systems that may not have the required security capacity become obvious targets. Review your software at timely intervals to ensure it remains fit for purpose and relevant. There is no real way of completely eradicating human errors, but staff training can help reduce the frequency of this type of mistake. Ensure that all employees are fully aware how to use the technology and software they require for their role to prevent against issues like this from arising. The wear and tear of hardware can also be problematic. Some industries will experience this more than others — for example, in manufacturing, machines and presses will require regular maintenance to ensure they remain functional and efficient. This issue can be overcome through carrying out predictive and preventative maintenance, giving you foresight of when potential issues could arise. Combatting business downtime isn’t as complicated as you might have first thought; it’s about planning and preparing to minimise your chances of an outage.